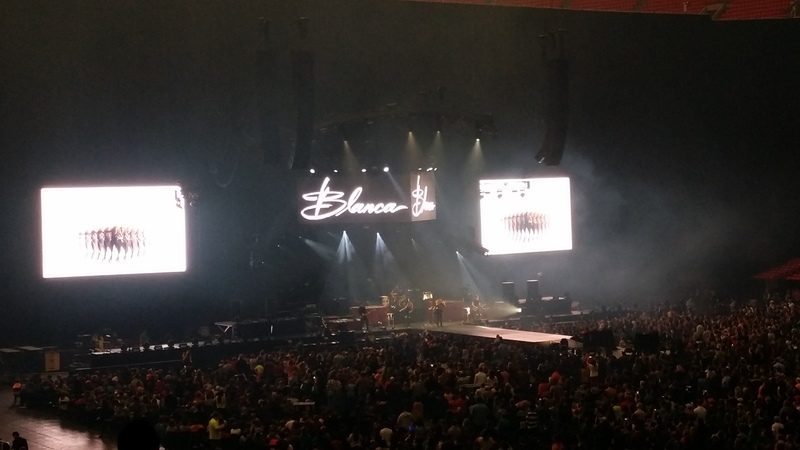 Winter Jam 2015 came to Atlanta on February 7. It was the second time my oldest and I have been but was the first time for my middle child. 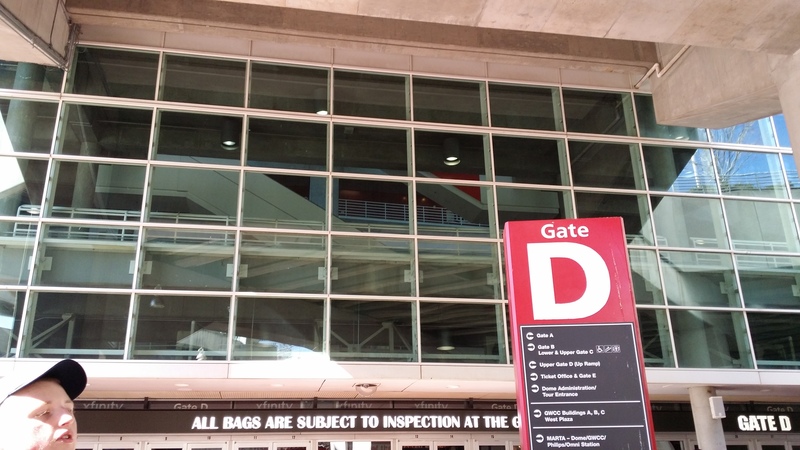 We left super early because we knew there was construction in the area and that the crowds would be huge since it was at the Georgia Dome. Our first time at the Georgia Dome. 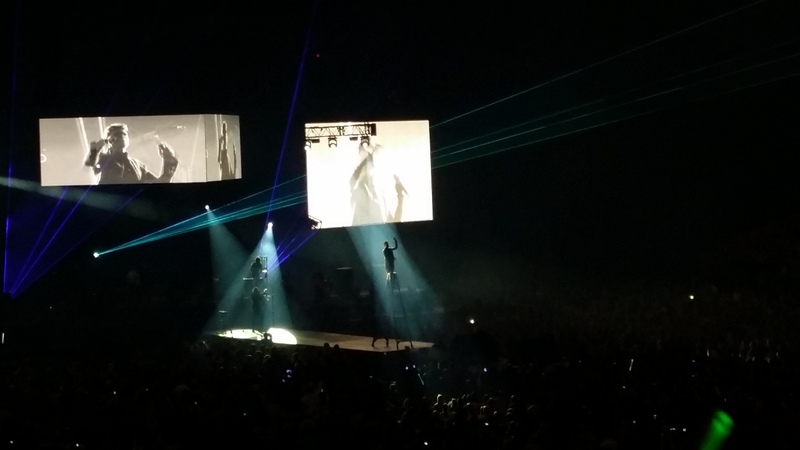 Winter Jam is a concert series that focuses on Christian artists and offers speakers interspersed throughout the concert. It is a no ticket concert with $10 suggested at the door. You can find them on Facebook, Twitter, Instagram, and YouTube. This years artists are Skillet, Jeremy Camp, Francesca Battistelli, Building 429, Family Force 5, Newsong, For King and Country, Veridia, About a Mile, and Blanca with the speaker being Tony Nolan. We waited about 3 hours before the doors opened. This is the gate we were at. Luckily for us, we did not have to walk very far from our car to the gate. There was already a lot of people when we got there but about 30 minutes later it was so packed we could not have left if we wanted or needed to. Think of sardines in a can and you will have an idea of the people just at our gate. Here are some pictures of the different artists. There was an appearance from Sadie Robertson from Duck Dynasty also. We sat at the last seating row before the concessions. 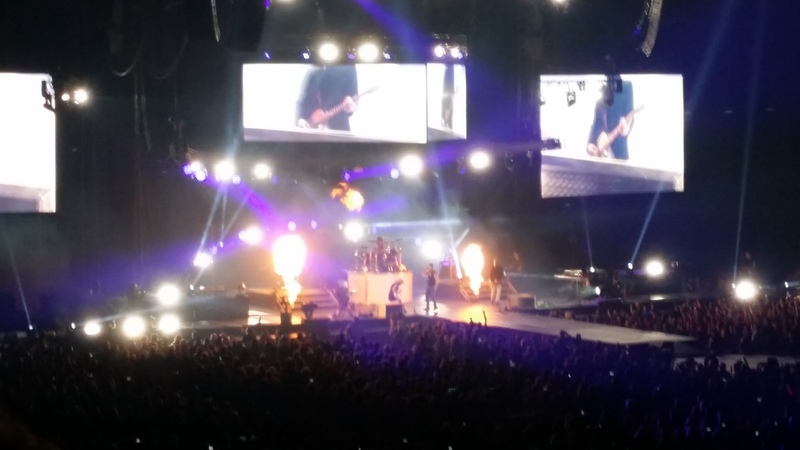 The boys and I were thrilled to get to see Skillet in concert. They were the last band but were worth the wait. Lights, fire, and hard-hitting chords were awesome. They are worth seeing live if you get a chance. We would love to see them on their tour. 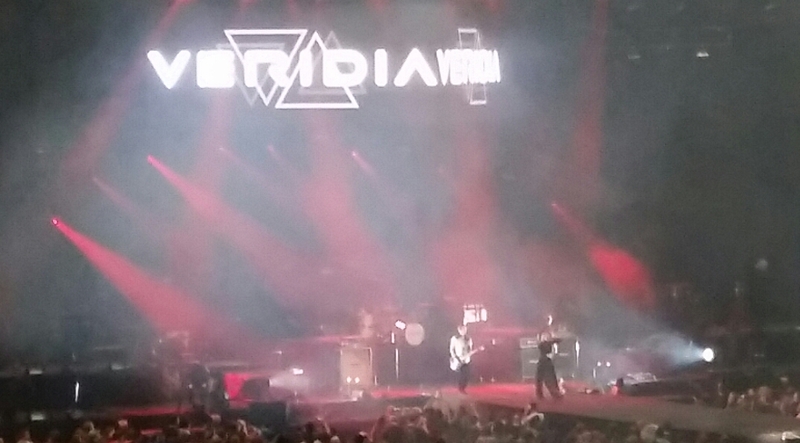 We were surprised by Veridia. 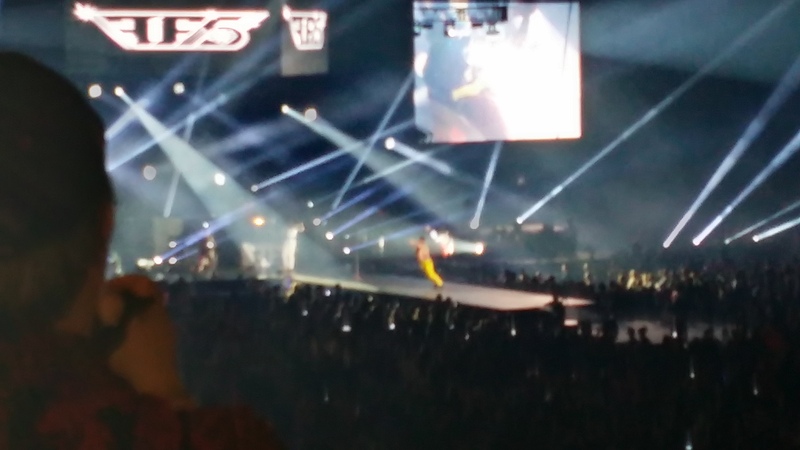 They were the opening band and had to perform with the lights up and people still filling the seats. They are in the same category as Skillet. Hard hitting rock and had great stage presence. We were also surprised by About a Mile. They performed after Veridia and have me texting my husband saying I was surprised to start out with two hard rocking metal bands. Next we had Blanca. She was good but gave off a Beyonce type vibe. William and I chose that time to walk around a bit. 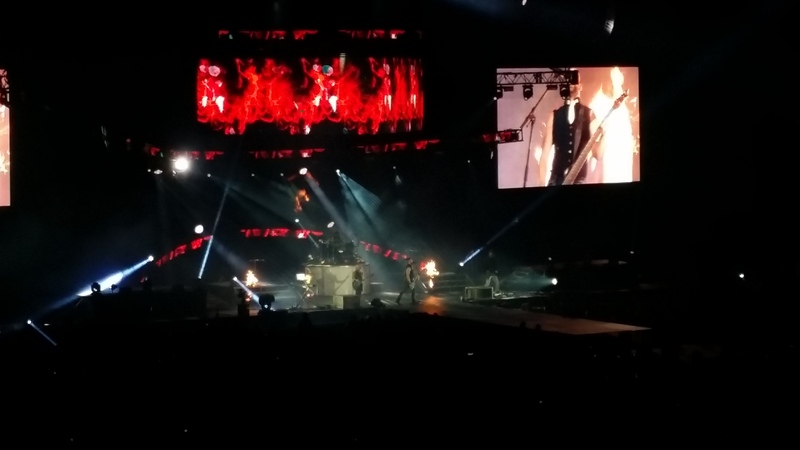 The next band we were blown away by was For King and Country. We have heard a few of their songs on the radio so we were a bit familiar with them. What a great personality the lead singer has. The band was full of energy and I was in awe of their performance. Another band I would love to see in concert again. Newsong is not new to us. We have seen them perform live before and they know how to deliver each time. My mom went with us and she was spellbound by them. We were new to Family Force 5. We did not know what to make of them. Their last song was called Chainsaw and we literally just looked at each other and wondered what had just taken place. It was a spectacle and the song was just weird but catchy enough that by the end we were bobbing to it like everyone else. Jeremy Camp was awesome as always. We saw him perform at the same first show we saw Newsong. He delivers and is just awesome to listen to. 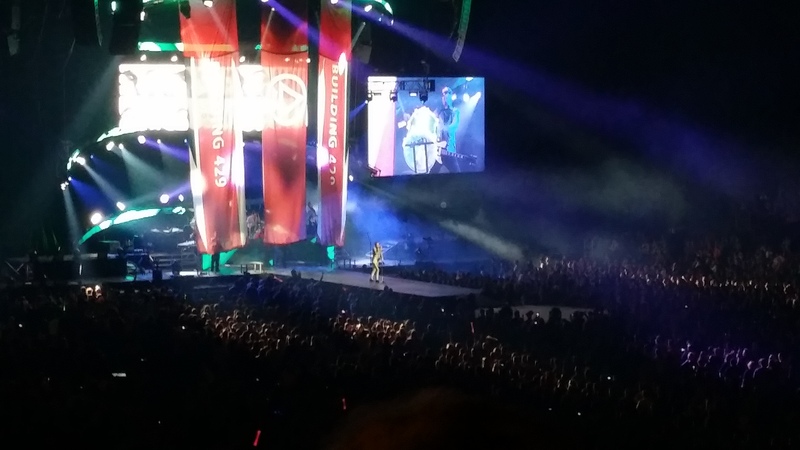 The only artist we really did not like the performance from was Francesca Battistelli. We also have seen her perform live before and it was great. It was energetic. This time, we were not as impressed with her performance. Great songs still but we did not feel anything from her performance. Will and I got up and walked around during her set also. Concession wise, we enjoyed several small 8″ pizzas from the Papa John’s stand. Hot and gooey goodness. The boys and mom had some popcorn but to me it smelled burned. Only my mom was happy with her bag of popcorn. The tubs of popcorn were not worth the money. We also tried a funnel cake. I love funnel cake at the fairs we go to but this one was a bit to done. It was hard to chew the outside pieces but the inside area was soft, warm, and full of powdery sugar goodness. We did buy any cds while there but chose to buy music digitally when we got home. We bought Veridia, For King and Country, About a Mile, and rounded out our Skillet collection. We also bought one Skillet t-shirt for the oldest and a Skillet messenger bag for me. 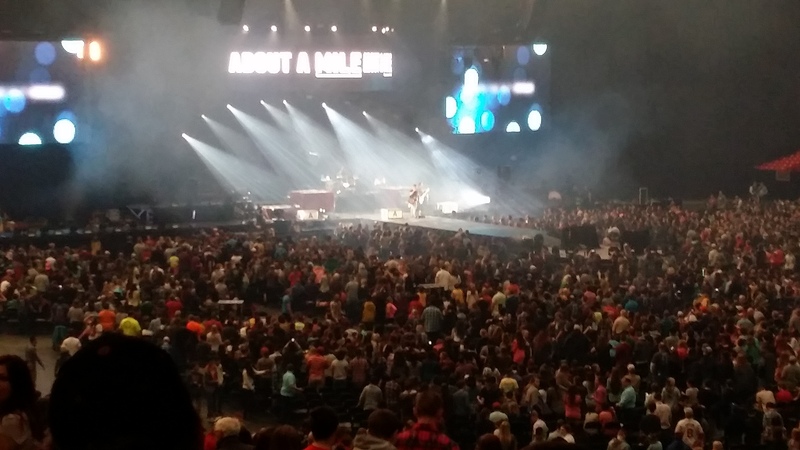 So go find the Winter Jam nearest you and go! It is worth it.